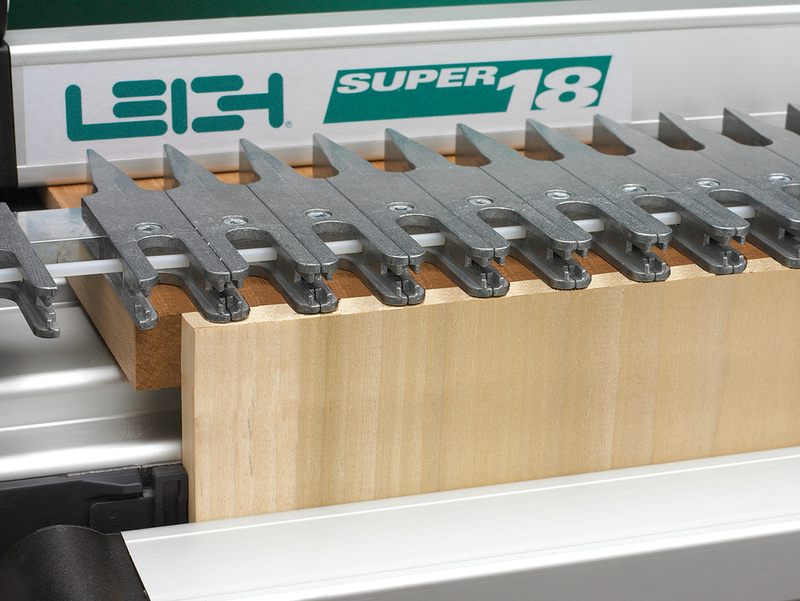 Single pass half-blind joints share the same characteristics as variably spaced half-blind joints with one notable exception, the pins and tails can be routed in a single pass with both boards mounted in the jig at the same time. 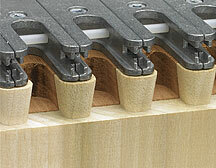 Single pass dovetails are generally used when production time is critical. 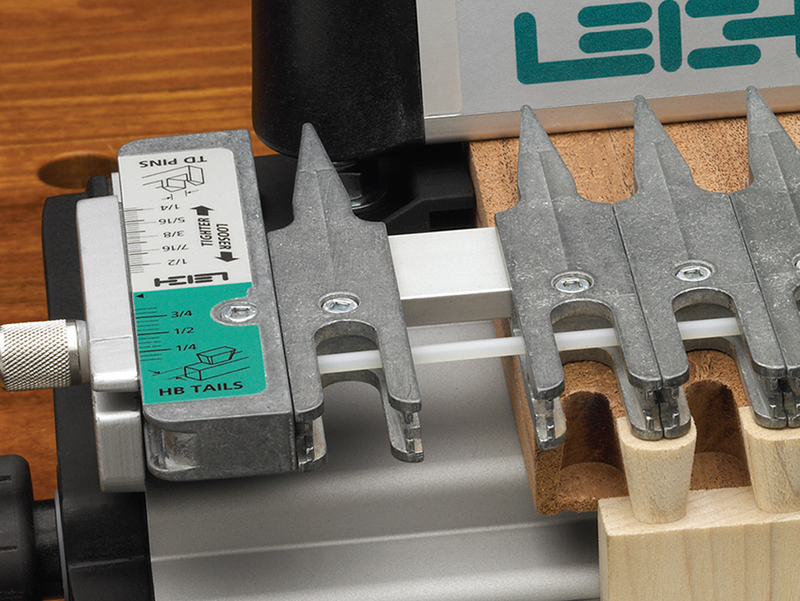 Although not as aesthetically pleasing as a variably spaced joint, the joint is equally as strong and jig set up minimal. 1 Make sure the finger assembly is in the Half-blind Tail mode. 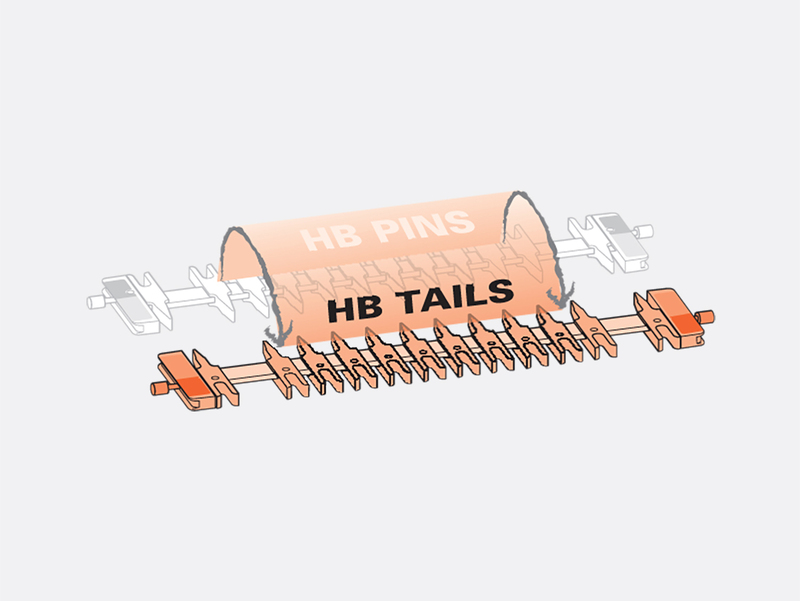 The pins and tails are routed at the same time in this mode. 2 If the drawer side is 1/2” or less, insert the nylon stop rod in the tail end of the fingers. 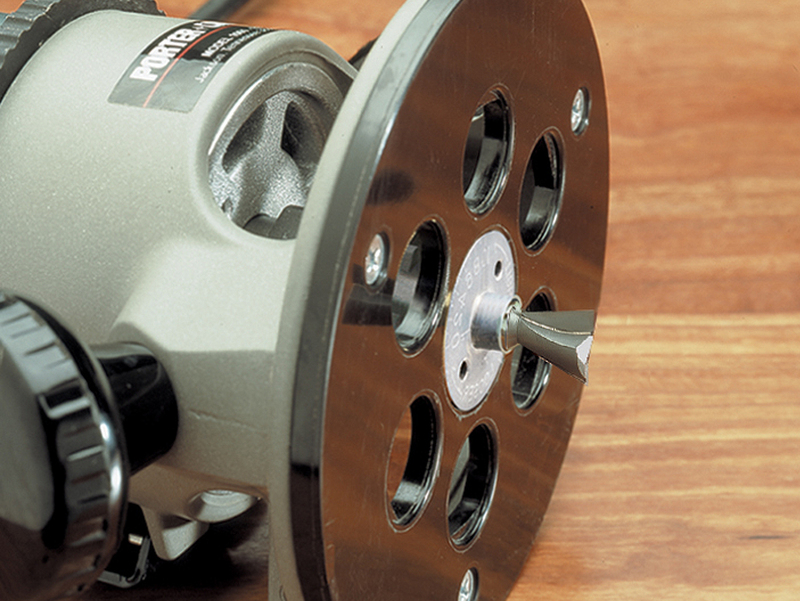 The rod acts as a limit stop as the pins are routed. Thicker drawer sides do not require the rod. 3 Insert the spacer in the front side stop in the #1 position. The spacer provides the correct offset for the tail board. 4 Clamp the tail board (drawer side) in the front clamp and the pin board (drawer front) in the top clamp. 5 Set the scale to the thickness of the drawer side (tail board). 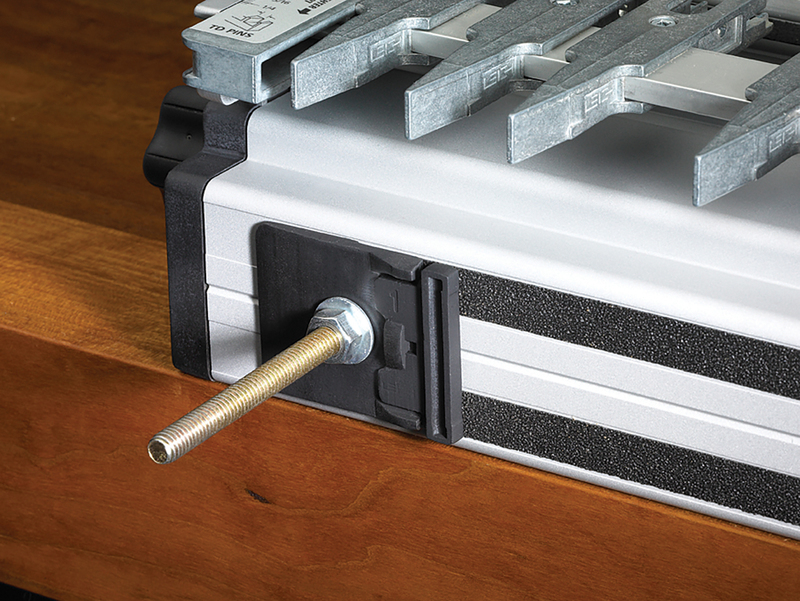 That’s it — There is only one scale setting and only one finger assembly mode for single pass half-blind dovetails. 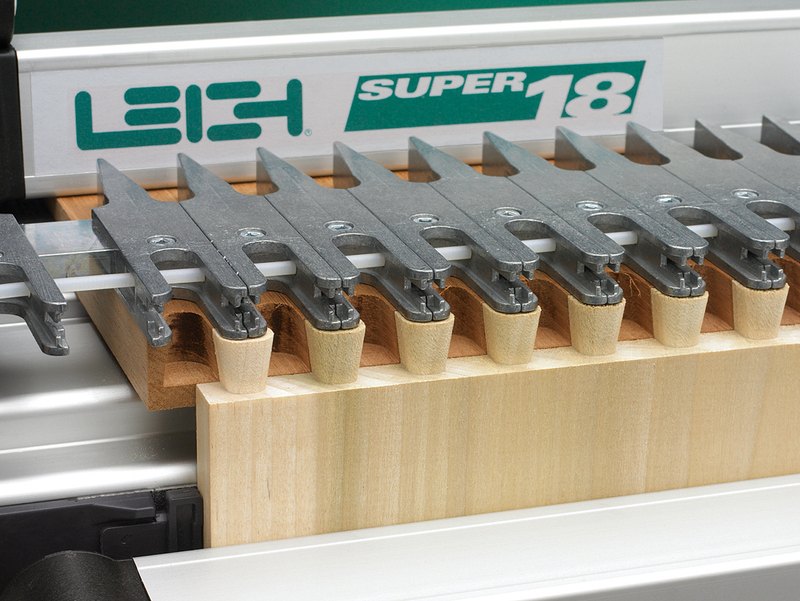 6 Use the included Leigh e-Bush template guidebush and the included #80-8 dovetail bit. 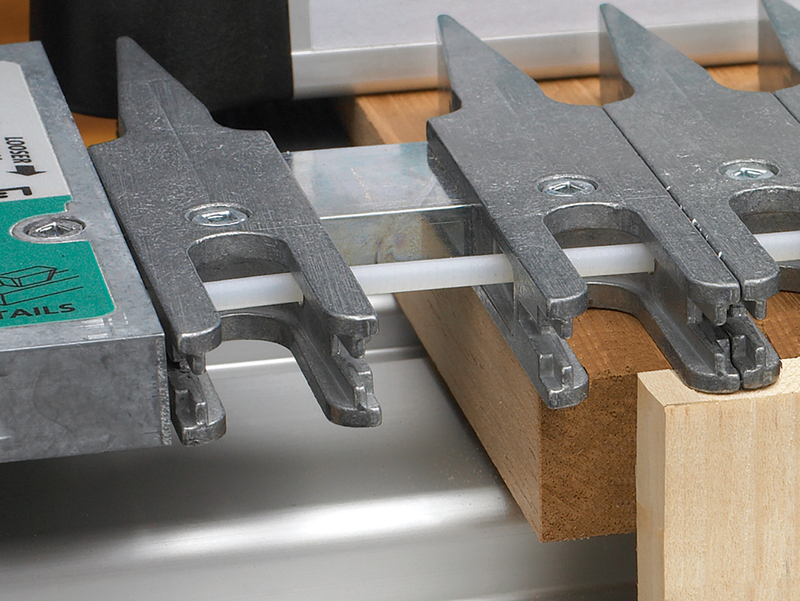 Or, depending on the drawer front thickness, use one of the five Half-blind bits available. 7 Rout in and around all tail sockets to form the pins and tails in one pass.